Everybody wants to see health care costs lowered, but about the worst way to achieve that would be to pass a “Medicare for All” plan. Enacting such a scheme would be a fiscal disaster, adding upwards of $3 trillion in new spending annually and painfully-high tax burdens to finance the massive expansion of the federal government’s budget and regulatory power. This would burst the budget, necessitate European-style levels of taxation, and would only be able to control costs through government fiat. 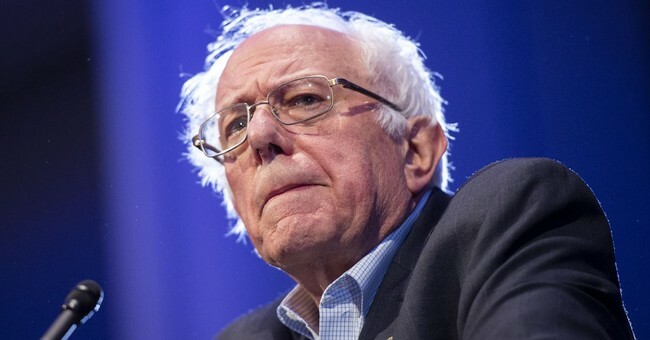 Medicare for All (M4A) achieved notoriety as the centerpiece of Senator Bernie Sanders’ run for the White House in the 2016 Democratic primary, and later after the surprise primary win of Congressional candidate and M4A supporter Alexandria Ocasio-Cortez. Think tanks from the right and left have analyzed the proposal and each of them have concluded that costs of the program would be enormous, with the average of estimates constituting a projected ten-year price tag of $30 trillion. This budgetary spike would increase spending as a share of the economy to levels not seen since World War II. In fact, Medicare for All’s costs over its first decade would outstrip all the outlays made for Medicare, Medicaid, and the Children’s Health Insurance Program since they were established in the 1960s. If the history of entitlement budgeting is any guide, there are good reasons to assume that the costs would run higher than expected, which would compel politicians and unelected bureaucrats to contrive command-and-control regulatory policies to reduce the availability and quality of service, leading to longer wait times and fewer treatment options. How would Sanders pay for this? His legislation also doesn’t specify, but the simple truth is that financing such a massive program would take unprecedented tax hikes. In total, the taxes that he had proposed in 2016 to finance Medicare for All would impose a $1.3 trillion annual burden. This would roll back the relief provided Tax Cuts and Jobs Act that has already contributed to an expanding economy. And even before considering the dynamic impact of enacting such massive levels of taxation, the revenues would fall short of covering the full cost of providing universal coverage through Medicare. To be fully-financed, upwards of $3 trillion in tax increases would be needed. In order to cover the costs, Americans’ tax burden would have to skyrocket past levels seen in Germany, Canada, and Great Britain. The dynamic shock of these staggering tax hikes could reverse the growth spurred through deregulation and the 2017 tax reform law, sending the deficit and economy into a downward spiral. Several states have seriously considered passing universal health care plans, including New York, Colorado, and California. But none have been able to square the circle on figuring out how to pay for it. Sanders’ home state actually enacted a state-wide single-payer program similar to Medicare for All but soon afterwards the Governor had to pull the plug on it because it would have wrecked state’s budget in just the first year. The scale of the fiscal calamity would be much larger at the federal level. With all these politicians touting the benefits promised on paper in the program, it’s not surprising that recent polling has shown increasing favorability for Medicare for All. Support should drop once people read the fine print of the plan and consider its aftermath. Even the starry-eyed progressives in Vermont had to drop their single-payer plan once they grasped the scale of the tax increases necessary to pay for these schemes. Medicare for All’s advocates may promote the program with “soak the rich” rhetoric, but its impact would wallop taxpayers across income levels. Demian Brady is the Director of Research at the National Taxpayers Union Foundation, a nonprofit dedicated to tax policy research and education at all levels of government.